Add an optional Student Activity Book for $10 if you have a middle or high-school student using this program as well! Is AAH appropriate for high school requirements? Yes, it is! While some find the reading to be simple for high school students, there are activities and projects built in to form an excellent, age-appropriate curriculum for high school students. I purchased two Student Readers to be shared among four children. Is this sufficient? It should be plenty. A large family might choose to have just one Student Reader for reading aloud but if I had older students I would want them to read or re-read the lessons on their own as well. In addition, since they need the Student Reader in order to complete the map work in their Student Activity Book I think that two Student Readers with four students is a good ratio. I purchased four Student Activity Books, one for each child. Is this correct? Yes. You could try to photocopy each page of the Student Activity Book for each child, but you can save the cost and time of copying by purchasing one for each child. We also try to keep the cost down on the Student Activity Books for this same reason. 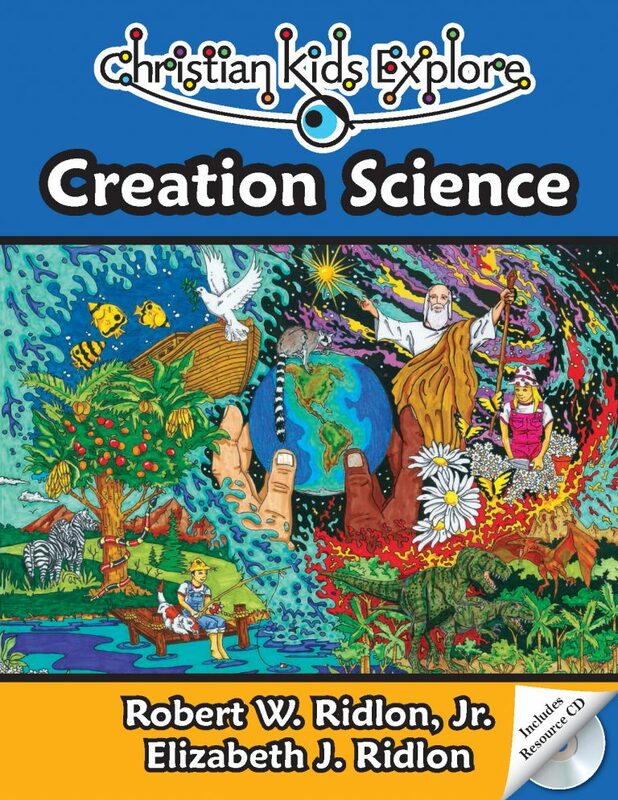 If you have children in 3rd/4th grade and under, a Student Activity Book might be a bit much. 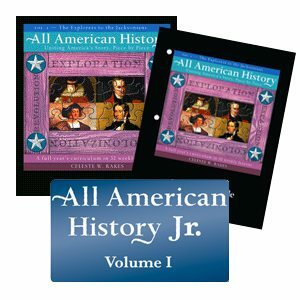 Instead, we have created a resource called All American History Jr. to fill the void of a Student Activity Book for younger students. It comes with coloring pages, maps, notebooking pages, and a revised lesson plan all with younger audiences in mind. Do I need a supplemental atlas for this program? No, you don’t. While an additional atlas of the United States, especially a historical one, might come in handy for the mapping work, an extra atlas is not required because the maps already in the book provide all the answers you need. How much teacher prep time is involved in All American History? Determining how much you expect to read aloud, or have them read, per day. The reading is broken down into weeks but not days. Making the Review Games (Simple, index-card “Memory” type games). Choosing any extra reading, if desired. There is a book list included but it is optional. For younger children you may wish to cut out the figures from their Student Activity Books ahead of time so all they need to do is paste them into the appropriate spaces. Looking over the “Family Activity Suggestions” and choosing which ones you will do and determining what, if any, supplies you will need. 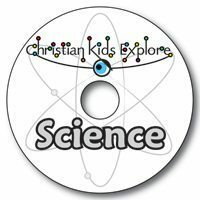 (For example, Lesson One is on the Vikings and the two “Family Activity” options are to: watch Veggie Tales Lyle the Kindly Viking and compare and contrast the movie with what you now know to be true about Vikings or to make “silver” jewelry). Lastly, I would suggest looking over the “For Further Study” questions each week and determining which, if any, you will assign. The older the student the more I would assign. (High school – 3 out of 4 of them.) Remember, the synopsis of what info they should find for each question is in the Teacher’s Guide! How does AAH work day by day? Spend one day a week on any reading aloud and discussion. Spend the second day doing maps/timeline and perhaps some written work. Give your students some reading to do (either re-reading the lesson if you read it aloud or reading either historical fiction or non-fiction books with great pictures) on one of the other days. At the high school level, there are also research questions to answer. In the case of All American History, these would be the “For Further Study” questions at the end of each lesson in the Student Activity Book. Last Thoughts – READ the Teacher’s Guide! It is the heart & soul of this curriculum. What do I need to purchase with AAH Jr.? With AAH Jr., you will also need to have a copy of the Student Reader and the Teacher’s Guide for the volume you are purchasing. You do not need a copy of the Student Activity Book. Why purchase AAH Jr. instead of just using the activities found in the Teacher’s Guide? There are activities in the Teacher’s Guide for younger students, but AAH Jr. is specifically designed for children in mind. It saves the time and hassle of finding or creating appropriate coloring pages, maps, and notebooking pages. We have also revised the lesson plans and schedule with younger audiences in mind. What age range is AAH Jr. designed for? AAH Jr. is designed for grades 1-4. How will this work with my older students? Because they are using the same student reader, it is simple to integrate the history lessons with activities and projects for each age provided in the Student Activity Book (for older students) and from the AAH Jr. download (for younger students). This timeline package encompasses beautiful drawings from Leif Eriksson to the World Trade Center tragedy, covering all 43 presidents and a vast array of events, political acts, inventions, and people of interest in our nation's history! Includes 420 figures! 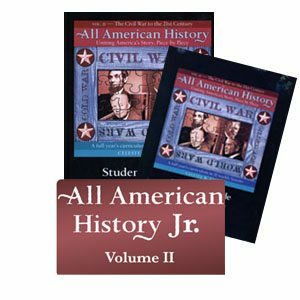 Includes figures for both volumes of All American History! 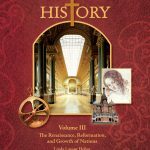 Like Volume I in this series, All American History Volume II is designed to be engaging and is written in a comfortable style. Containing hundreds of pictures and dozens of maps, it is a complete year's curriculum for grades 6-12 when used with the Student Activity Book and Teacher's Guide. All three titles are included in this set. Each week of learning includes a chapter from the Reader, maps, forms, and review questions in the Student Activity Book, and plenty of hands-on and further research ideas in the Teacher's Guide (as well as great teaching tips, ANSWERS to everything, and a great book list!). The Mystery of History Volume II Folderbooks contains both the mini-books and the directions needed to fold and use them. Try just the first quarter of The Mystery of History Volume II’s four quarters or buy all four —at a substantial savings. 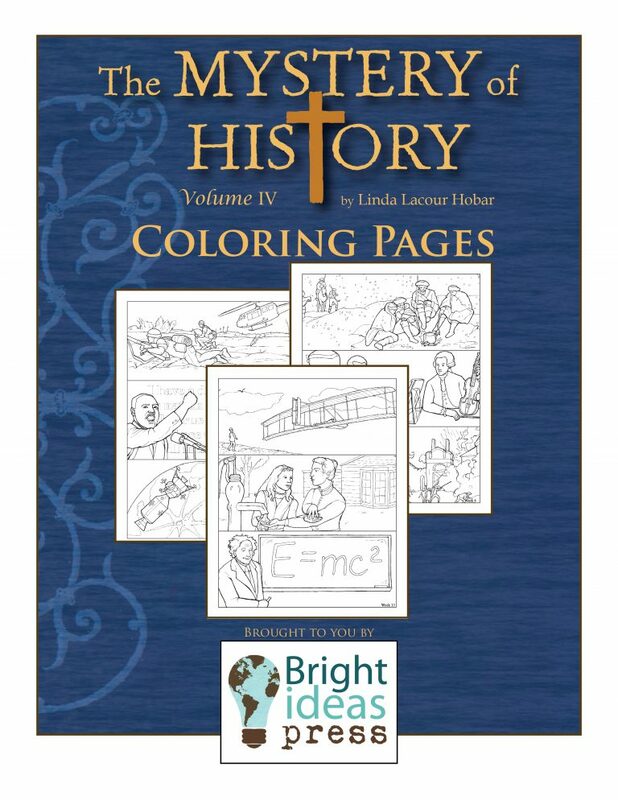 Students of all ages will enjoy these beautifully designed coloring pages made specifically for The Mystery of History Volume IV. Each page has been expertly drawn to capture one week of lessons. A great value for larger families! Delivered in .pdf file format. 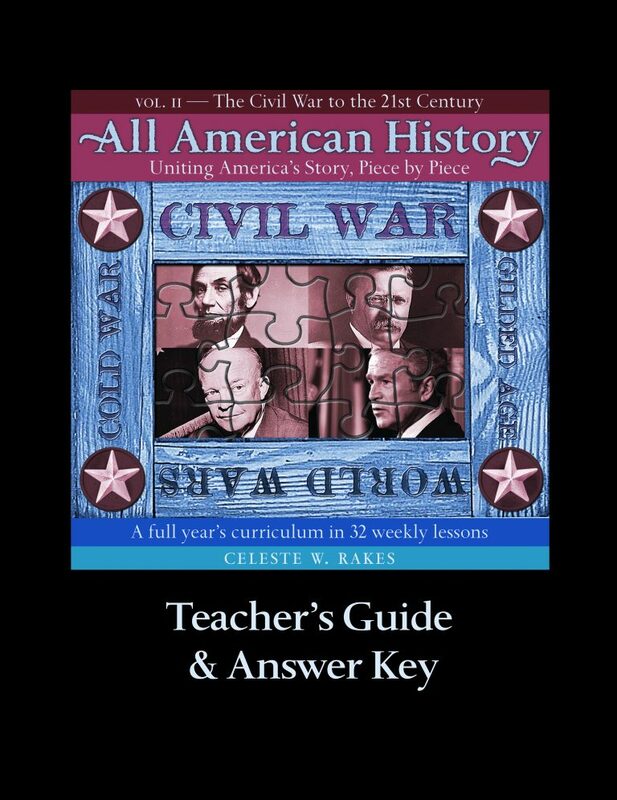 Designed to be thorough and helpful to teachers, the All American History Volume II Teacher’s Guide includes a Scope and Sequence, guidance through the Student Activity Book, and full-size answer keys. The Teacher’s Guide also offers games and activity suggestions, additional creative project ideas, timeline strategies, and recommended reading lists for each unit. Ideas for adapting lessons for younger students are also provided. Volume III of The Mystery of History has been divided into two beautiful books! 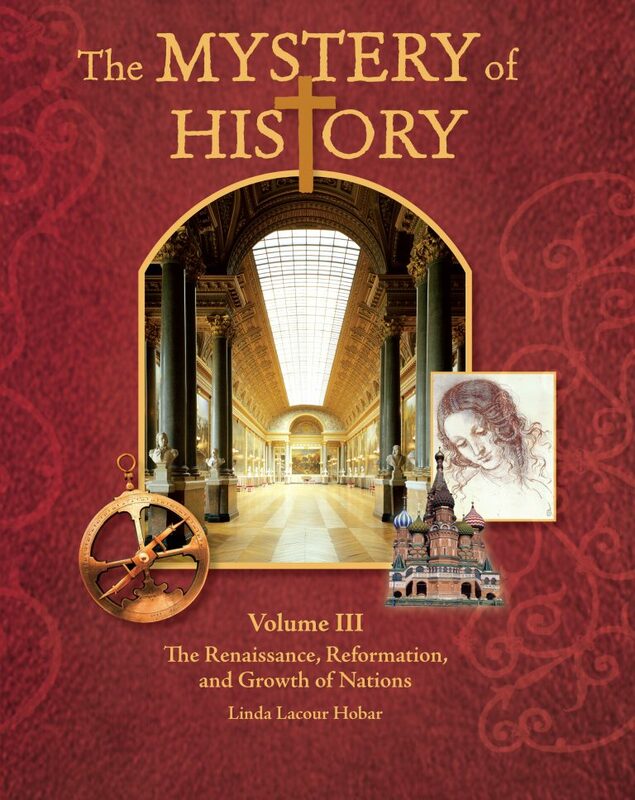 The Student Reader contains engaging lessons from the Renaissance and Reformation and more, while the Companion Guide: Curriculum and Student Activities contains everything else that has made The Mystery of History an award winning, user-friendly curriculum. 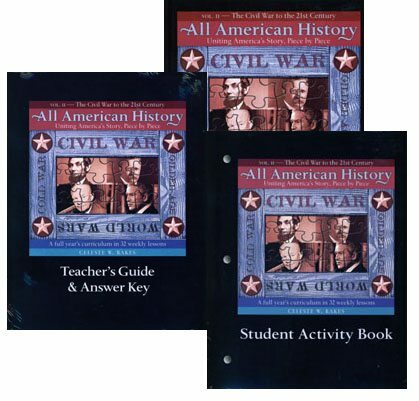 Pretests; Hands-on/Research Activities for Younger, Middle, and Older Students; Memory Card ideas; bi-weekly quizzes and exercises; timeline helps; maps; supplemental book lists; and more.